This past Friday’s release Ek Ladki Ko Dekha Toh Aisa Laga movie got an average opening weekend at the box office. Now, it has entered in business on the first weekdays, but at a low note. In the 1st four days, its total collection has reached Rs 15.38 crores. Upon its release, the film got positive reviews from both the critics and the audience. Despite the positive responses, it is not getting much footfalls. The reason lies in the genre/topic of the Bollywood film. It is a love story between two girls. That’s why it is getting the required support from the single screens. The family audience is not giving it a priority to watch. ELKDTAL stars father-daughter duo Anil and Sonam Kapoor. For the very first time in their career, they are sharing screen space together. It also stars Juhi Chawla and Rajkummar Rao in lead roles. Despite getting positive reviews from the film critics, the flick is lagging behind in terms of box office collection. It is facing stiff competition from other releases, especially Manikarnika: The Queen of Jhansi and Uri: The Surgical Strike that are dominating the box office entirely. The directorial of Shelly Chopra Dhar was released on 1st February 2019 with a normal buzz and no big promotions. Its opening day collection turned out to just Rs 3.30 crores from 1500 screens nationwide. Due to holidays on first weekend and positive word of mouth, it saw an increase in its business over Saturday and Sunday. It managed to earn Rs 4.65 cr and Rs 5.58 crores on those two days respectively. After the opening weekend was over, the film saw a decline on its 1st Monday (4th Day) and collected only Rs 1.85 crores making its 4 days total to Rs 15.38 crores at the home turf. The drop was significant yesterday. The previous collaboration of Anil Kapoor and Rajkummar Rao, Fanney Khan also struggled at the box office. It also starred Aishwarya Rai Bachchan. Speaking of 1st Tuesday collection of Ek Ladki Ko Dekha Toh Aisa Laga, the film registered a little more drop in morning shows’ occupancy rate compared to Monday’s numbers. 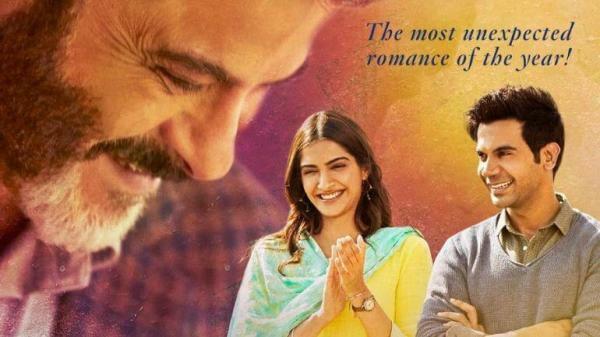 It is expected to collect Rs 1.50 crores on its 5th day in business. The exact figure will be updated soon. It looks like that ELKDTAL has sealed its fate and heading towards a flop status as far as its theatrical run in considered, unless some miracle happens.